Guangzhou-based adrenaline junkies take note: our city’s most anti-climactic tourist destination finally has something cool to talk about, China’s longest zip line. According to GRT Radio, the zip line’s route connects Baiyun Mountain with Huangpodong Reservoir and took two years to plan and four to construct. The distance covered by the ride takes an hour to walk, but can be covered by the zip line in a mere two minutes, with riders hitting speeds up to 120 kilometers per hour. The attraction sounds extremely impressive, with the cable ride starting from roughly 330 meters above its end point. 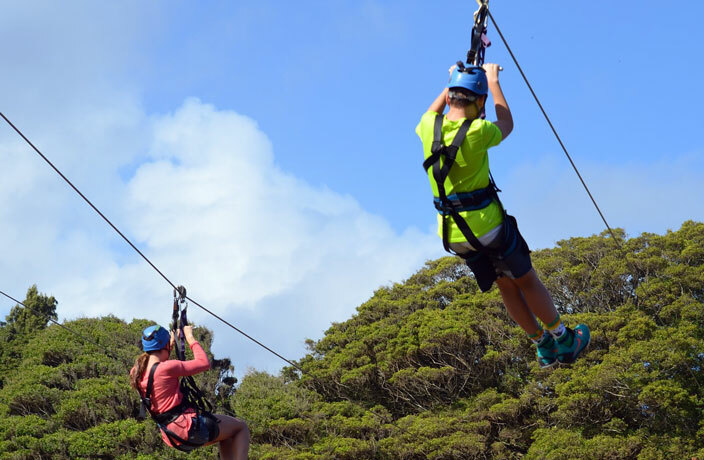 Like all zip lines, the ride is powered strictly by the momentum created by the body weight of participants (environmentally-friendly fun for the win!). Riders are weighed and then attached to a ropeway designated for folks of their particular body mass, according to GRT Radio. At the moment, only ‘Segment A’ of the zip line is open to the public, although additional segments will open at some point in the future. Admission to the zip line is set at RMB138. In all fairness to the hill that is misleadingly called a mountain, there are other extreme activities there to take part in: Baiyun Mountain also boasts a popular bungee jumping attraction. Have you checked out China’s longest zip line? What did you think? Tell us in the comments section below! At 3.29pm this afternoon, a coach bus caught on fire on an elevated road in Haizhu District. Retired football icon David Beckham made an appearance in Guangzhou yesterday. Gothic people in China are up in arms after a young woman was ordered to remove her gothic makeup by metro security in Guangzhou. The festival takes place over the course of 15 hours, with 35 acts set to perform across five indoor and outdoor stages.